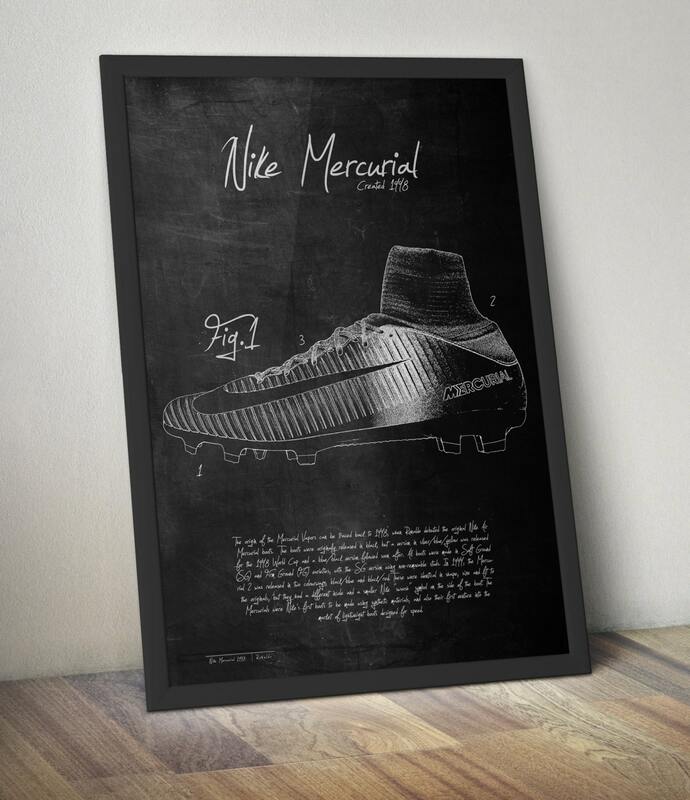 - A3 patent poster design of the famous Nike Mercurial football boots first worn by Brazilian Ronaldo in the 1998 World Cup all the way upto the present design worn by Cristiano Ronaldo, an iconic boot perfect for framing. - Design is based on a chalkboard with chalk like background texture and rugged, the design itself is similar design to an initial drawing. - If you require Live tracking of your item please check Registered post. There is an extra cost but this ensures you can track your item all the way to delivery. - If you are based in Canada please be aware that it will take longer to deliver than other countries. This is due to the Canadian postal system, please ensure you quote the exact address. If you require Live Tracking please chose registered post. We recommend this.